At Pier 94 in New York this weekend, AIPAD’s The Photography Show brings together more than 100 of the world’s best galleries specializing in fine art photography. It is a staggeringly impressive collection of first-tier gallerists showcasing their best work. There are some amazing Robert Franks (alas, sold, and at a pretty penny) and a glorious image by Martin Munkacsi at The Howard Greenberg Gallery’s space. At the Throckmorton Fine Art booth, there’s a wonderful collection of mostly Mexican and Latin American photographers (Bravo, Iturbide, and a rare image from Salgado’s Other Americas.) We were amazed to see, for the first time as large prints, Dominque Tarlé’s images of Mick and Keith during the Exile recordings in Villefranche-sur-Mer, circa 1971, courtesy of La Gallerie De L’Instant. At The Peter Fetterman Gallery, there’s a stunning Steve McCurry landscape from Japan, some wonderful images by Jeffrey Conley, and pieces by John Szarkowski that show him to have been a lovely photographer, not just the heroic curator who, in his years at MOMA, ushered photography — and color photography at that — into the front ranks. Gallery Fifty One brought from Antwerp some of those amazing images of Nigerian hairstyles taken by J.D. Okhai Ojeikere in the 1970s. Throughout the show, you’ll find works by Cartier-Bresson, Saul Leiter, and others from the pantheon known to us, and with exhibitors from Brazil, India, and Switzerland, artists we’d never heard of. So how is it that, among all these great photographers, the work that stuck with us on the train ride home was by the young Siberian visual storyteller, Evgenia Arbugaeva, whose presence at the show was the proximate cause of our journey there? Evgenia Arbugaeva grew up in Tiksi, a Siberian town above the Arctic Circle that is closer to Alaska than Moscow. She speaks better English than we do, has proved to be every bit as intrepid in her journeys as Sebastiao Salgado, and her visual narratives are as richly detailed, poignant, and in many ways more emotionally resonant than a film by Wes Anderson or a novel by Garcia Marquez. American audiences likely became aware of her when they came across this image in the pages of The New Yorker in late 2014. Weather Man is one of the stories that Arbugaeva tells through a compact series of images. Even before we first saw it on her website, we’d been aware of her work through Tiksi, the connected series of images that garnered her in 2013 the prestigious Oskar Barnack Award, awarded each year by Leica. Tiksi is magical, a journey to Arbugaeva’s hometown in the north of Siberia, its story told through the eyes of a young girl who is a stand-in, certainly, for the artist. There is something about the clear white snow and pale blue sky and the cast of characters we’re introduced to that takes her work from the realm of photography — though the photography is gorgeous — into something deeper, something that skirts the line between cinematography and novelistic non-fiction. Her pictures in Tiksi get us to understand the vulnerability of characters living at the edge of the world in a post-Soviet era in which the newfound prosperity in Moscow, and even Vladivostok, is far, far away. This is Arctic Magical Realism, and its depiction continued when Arbugaeva released Weather Man one year later. The Photographer’s Gallery in London represents Arbugaeva, and yesterday at The Photography Show, they invited her to speak in their space. They have a number of images from Weather Man exhibited, and even in a show with as many incredible works of art on display, Arbugaeva stands out. What she told us about her work, and her approach to storytelling, was inspirational. She originally met Slava, the weather man who lives alone with his bird in the far north, when she was traveling from outpost to outpost by ice breaker. She talked to him him briefly, determined his was a story worth pursuing, and months later came back by helicopter. He agreed to let her stay and take photographs — what if he hadn’t? — and she got to work. Her observations go beyond what can be captured on the sensor of her Canon — for example, in the image that shows Slava looking at his canary, rather than the wild onion growing toward the light, it apparently grows toward him. A novelist’s sense of detail. In the months ahead, The Photographers Gallery is going to exhibit her most recent work, Amani. It is as far from the work she’s previously exhibited as the tropics are from the Arctic. Amani is set in Tanzania, at a semi-abandoned scientific research station she depicted late last year in National Geographic.. As with Weather Man, there is a solitary figure whose life Arbugaeva depicts in the most poignant, poetic manner. Over the years, Nat Geo has employed a great many of the world’s best photographers, but we don’t think they’ve ever published images as resonant as these. Henri Cartier-Bresson, well represented at The Photography Show, famously talked about the decisive moment, the street photographer’s capturing in 1/500th of a second an event that, a split second later, is over. Evgenia Arbugaeva’s work is more like a decisive month, or what Daido Moriyama referred to as a “fossil of light and time.” Arbugaeva studies places removed from time itself, capturing in the most amazing light and detail a life, as it is being lived, in the most vulnerable environment. There are hundreds of great galleries and thousands of great artists exhibited at The Photography Show. No one else’s work plied that line between narrative fiction, cinematic dreamscape, documentary photography, and pure beauty as Evgenia Arbugaeva. Evgenia Arbugaeva is represented by The Photographers Gallery in London. It may be apocryphal, but James Joyce is alleged to have said about Finnegans Wake, “It took me 17 years to write it, and it should take 17 years to read it.” I thought of that when, 19 years after their best album, Munki, was released into the wild, The Jesus and Mary Chain put out its followup, Damage And Joy. When a band comes back from the dead — or in the Mary Chain’s case, from reforming only to tour, not release new music — they’ve already heard all the nice things said about them at their funeral. The Reid brothers broke up their act in 1998 either because they’d brought it to what they thought was its conclusion, or they just couldn’t take another day together. But of course, even before they went back on the road some years ago, the Jesus and Mary Chain have lived on in the form of all those bands who saw what they had done — graft Velvet Underground songwriting and guitar chords onto the possibilities of drum machines and new recording technology — and were inspired. In the time since they metaphorically burned their guitars, a lot has happened, and we’re not talking about all of the nasty changes in our world since the boom days of the late Clinton Administration. Jim Reid got sober. JAMC’s festival shows led to semi-regular touring, and despite — or because of — they way they turned the amps to 11, a new generation of fans for whom Psycho Candy was as distant, in some ways, as The Velvet Underground & Nico, saw them as the masters that they were. It became inevitable that they would release new recorded music. We were unprepared for how great an album Damage And Joy is. Purists may not like it because it’s not Finnegans Wake, it’s not difficult, it’s Dubliners: simple, easy to absorb, damn near perfect. By the time December rolls around, we are certain it will remain high on our list of the year’s best albums. It’s the Jesus and Mary Chain album we have waited for, somewhat anxiously, for a long, long time. We confess that we never loved Psycho Candy all that much. The juxtaposition of Beach Boys’ songs, Sterling Morrison guitar, and Ramones’ propulsion against an industrial squall was interesting, but in many ways unlistenable. Darklands was where we fell in love, with its spaciousness and gorgeous songwriting coalescing into a sound we could embrace. Through those early ’90s hits, we hung on as they created a machine that was an early precursor of EDM while maintaining its linkage to real rock’n’roll. For us, Stoned and Dethroned was the keeper, the classic, the songwriting at a peak, the wrestling match between melodies and riffs, between Jim’s hoarse whisper-singing and William’s guitar textures becoming not only one of the ’90s highlights, but an album for the ages. When Munki came out in 1998 — perhaps rock’s greatest year — it was the culmination and the end of the line, Jim and William’s ambivalence — and conflict — were captured in the songs that began and ended the album: “I Love Rock’n’Roll” followed by “I Hate Rock’n’Roll.” But now they are back, and for the moment the ambivalence is gone. 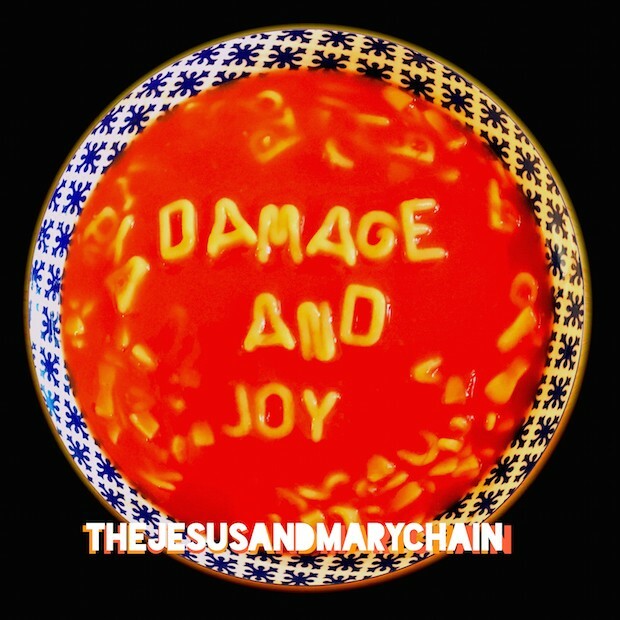 Whatever happens from here, The Jesus and Mary Chain have returned from the dead, and the Hallelujah chorus is awesome to behold. You are currently browsing the Tulip Frenzy blog archives for March, 2017.